Dreaming of Deliverance is complete!! I still can't believe it. 32 episodes, over 560 pages of text, and over 6 months of recording and audio editing, and now it's finished! Actually, it's been finished for a couple of days, but I've been so swamped with life and other projects, I haven't had a chance to blog about it until just now! Thanks so much to everyone who encouraged and supported me throughout the process. I had a lot of learning to do to pull it off, but I'm really pleased with the result and so glad to have had the opportunity. Now I'm going to work on the sequel, and do some voice acting and narrating for other books. Once they are ready for your listening enjoyment, I will post about them here! Also, it's almost summer, so the kids will be home and there will be lots of activity here for a few months until school starts up again. That might keep me a tad busy. So even though the podcast episodes of DoD are at an end, there will still be a lot going on with me. In honor of Mother's Day...Baboons and Ep 31! Happy Mother's Day! 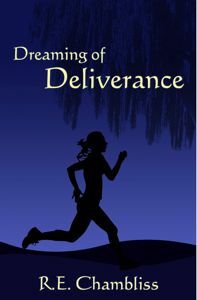 I've finished episode 31 of Dreaming of Deliverance. It should be live at Podiobooks.com soon, but I've put it up here at REChambliss.com if you'd like to listen to it right now! There is only one more episode to go. Wow! 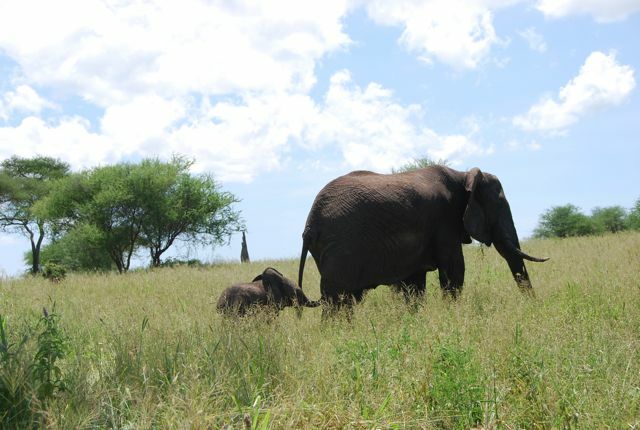 As for Africa photos, I had several mother/baby photos and wanted to post one of them in honor of moms everywhere. I chose this mama and baby baboon. 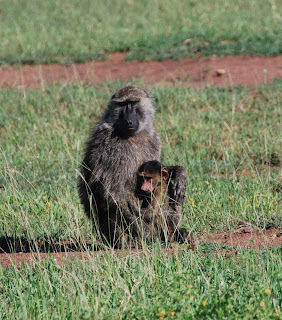 You don't usually think of baboons as sweet and maternal, but they clearly are. Too tired even to make a "clever" simile about how I'm like a mama elephant (and I sure feel like one sometimes!). But I wanted to post this picture, because I love it! Taking pictures of the elephant babies was tough, because the rest of the elephant family was so protective of them. They'd usually stand between us and them. But we were patient, and eventually got this photo! But as I said in the title of this entry--I'm tired! So even though the picture could probably tie in to the rest of what I wanted to tell you, I'm not going to try to make that connection. I've been subbing away! But I did record episode 31 of Dreaming of Deliverance early yesterday morning, and I will have it edited and up before the weekend is out. Only one more episode after this. I still can't believe it! 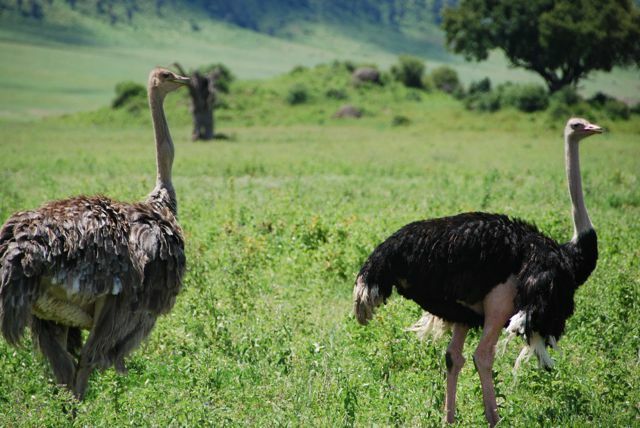 See these ostriches? Their heads are up! There was nothing for them to fear or avoid. Or if there is they're facing it. I'm tempted to bury my own head in the sand, so I can forget a little that I'm subbing all day tomorrow and Friday. With my head in the sand I could pretend I had the whole day ahead to record the next episode of Dreaming of Deliverance. But since the Ostriches heads are up facing reality, I guess I'd better face the situation too. I'm not going to be wimpier than an ostrich! So I'll get up early (4:30 am) and record ep.31, before joining my lively, energetic 5th graders. Then I'll get up early (yes, 4:30 the next day) and start editing ep31 before joining my lively, energetic High School students. Head out of sand, doing what I can to get this done! I have no idea if this warthog is really as proud as he looks here. Maybe he's trying to fake it 'til he makes it. But I doubt it. To me he's full of confidence. Sure there's a big herd of wildebeest behind him, and he's not thought of as one of the more glamorous African animals, but he doesn't care what others think. At least he doesn't look like he cares. I've been scarce lately, but not idle. I posted episode 30 of Dreaming of Deliverance over the weekend. There are only two episodes left! Dead Hunt is up through episode 12, so you can hear me there. And if you want to listen to me chat with Erk, his interview with me is now live at echoromeokilo.com. We even talk about Kael and Unpublishednotdead! So there is lots to report, even though I haven't blogged in a few days. I'm excited about it all, but also as is typical, a little anxious about everything too. 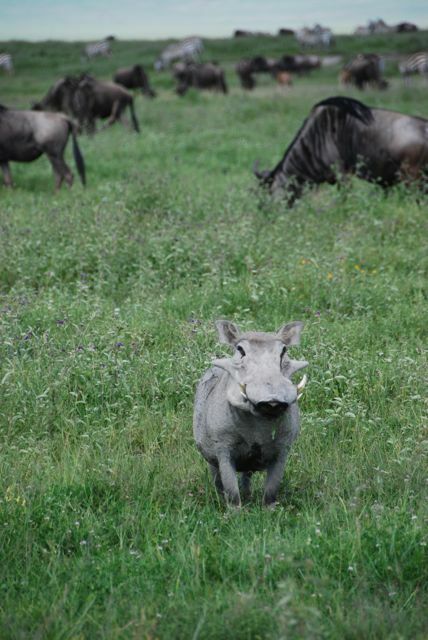 Someday I hope to be as confident as a warthog!